Building and maintaining strong relationships, whether in our personal or professional lives, is vital to our overall happiness and success. 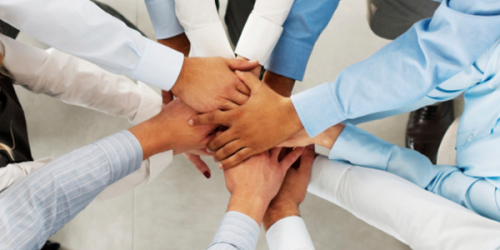 Co-worker camaraderie is a key ingredient to job satisfaction. Showing genuine interest in a colleague’s personal life is a great way to create a stronger bond between the both of you. According to a Gallup poll, one in two workers who had a best friend at work indicated they also felt a strong connection to the company they worked for. While some people are more obsessive about their schedules than others, even the most relaxed co-workers will get bent out of shape if another colleague keeps disrupting their schedule. As a colleague – or manager – you never want your teammates feeling resentful because their schedules have been disrupted. Try to schedule meetings when your colleagues prefer them rather than forcing them to adapt to when it will be convenient for you. A major part of career satisfaction is feeling appreciated and acknowledged for your hard work. If you help create a culture in which compliments are given, then others will see it as a green light to give compliments as well. It’s a virtuous cycle that will benefit everyone. Over time you’ll be part of the reason why you operate in a healthy, happy work environment. A simple thank you or acknowledgement of a co-worker on a job well done will go a long way. It can be something low key like grabbing coffee together in the morning or a drink at happy hour. If you’re the boss and you’re considering doing this with a subordinate, just make sure that it’s a casual offer that your employee doesn’t feel commanded to oblige. The important thing is to show your colleagues that you are investing in your personal relationship with them as well as your professional one. Many businesses suffer due to a lack of rapport among employees, which can translate to lower long-term success for the company and stunted career advancement for the employees. 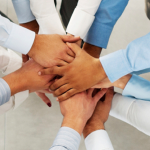 Following these tips will go a long way towards creating solid work relationships. Most of the time you spend on a meeting should be spent before you even enter the meeting room. Send an extremely focused and actionable agenda including any background materials ahead of time so people know what you’ll cover. The purpose of meetings is to make decisions and get work done. 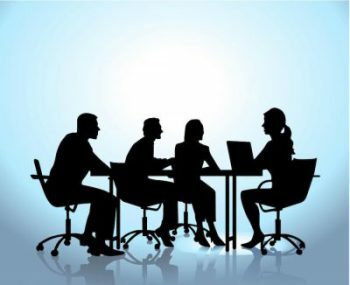 For the most part, meetings are not the best way to simply share information. Meetings can get out of control if there are too many people in the room. By limiting the number of attendees and only inviting key people, you ensure that your meeting stays structured and you achieve the outcome you want. The people in the meeting room make or break your effectiveness. You will want to have the key person present – a manager or executive – so significant decisions can be made. As a manager, it is up to you to ensure meeting attendees feel comfortable enough to contribute. Instead of lecturing or trying to convince people of your viewpoint, be open to hearing other’s perspectives. Before you transition from one agenda item to the next, ask if everyone is finished with the current topic. Giving enough people time to discuss their viewpoints will help keep the conversation focused. Ideally, you should only schedule 15-minute meetings up to a maximum of 30-minutes. This allows you to ensure your agenda is kept focused and clear of clutter. If you limit the number of attendees and your colleagues have done their homework, you won’t need more time. At the beginning of the meeting, explain you expect everyone to focus their discussions on the agenda. All meeting attendees should prepare their input before the actual meeting. For constant interrupters: Instead of letting employees dominate the conversation, you can ask them to continue during the break or after the meeting. 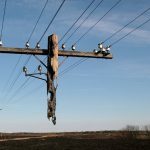 For dissenters: For those unhappy with the direction or territorial about decisions made, you may need to address the underlying issue head on before refocusing on the stated agenda. Tackling this directly will help to appease the dissenter and get your meeting back on topic. For ramblers: The meeting can degenerate if extraneous points are being raised. If your co-workers start to discuss items that are outside of the scope of your meeting, you can suggest a separate one-on-one conversation to go through their concerns. In this situation, you can also use the Parking Lot technique: advise the topic raised is outside the scope of this meeting but you will write it down in the parking lot and include in meeting notes to explore further if necessary. Spend a couple minutes to recap so everyone is aware of their responsibilities and is held accountable. After the meeting, send out meeting minutes on a timely basis with the specific action items discussed at the end of the meeting. Whether you’re getting ready for a weekly departmental meeting or convening an executive group to discuss corporate strategy, these tips can help make your next meeting the most focused and productive one yet. Over a century ago, a lion tamer named Clyde Beatty learned a lesson that is so important that it impacts nearly every area of your life today. What was that lesson? Keep reading to find out what a lion tamer can teach you about how to focus, concentrate better, and live a healthier life. Clyde Beatty was born in Bainbridge, Ohio in 1903. When he was a teenager, he left home to join the circus and landed a job as a cage cleaner. In the years that followed, Beatty quickly progressed from a lowly cage boy to a popular entertainer. Beatty’s act included a segment where he brought lions, tigers, cougars, and hyenas into the circus ring all at once and tamed the entire group. In an era when the majority of lion tamers died in the ring, Beatty lived into his 60s. How did he manage to survive? Thanks to a simple idea. 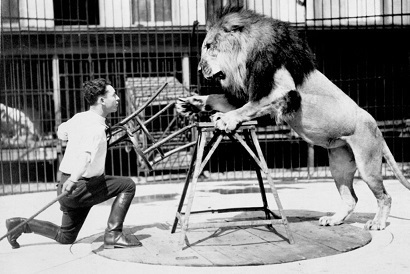 Clyde Beatty was one of the first lion tamers to bring a chair into the circus ring. The classic image of a lion tamer is one of the entertainer holding a whip and a chair. The whip gets all of the attention, but it’s mostly for show. In reality, it’s the chair that does the important work. When a lion tamer holds a chair in front of the lion’s face, the lion tries to focus on all four legs of the chair at the same time. With its focus divided, the lion becomes confused and is unsure about what to do next. When faced with so many options, the lion chooses to freeze and wait instead of attacking the man holding the chair. How often do you find yourself in the same position as the lion? How often do you have something you want to achieve (i.e. lose weight, gain muscle, start a business, travel more) … only to end up confused by all of the options in front of you and never make progress? This is especially true in health, fitness, and medicine, where every person and company seems to believe it is their duty to make things more complex. Every workout routine you find is the best one. Every diet expert says their plan is the optimal one. The end result is that we feel like we can’t focus or that we’re focused on the wrong things, and so we take less action, make less progress, and stay the same when we could be improving. Anytime you find the world waving a chair in your face, remember this: all you need to do is commit to one thing. In the beginning, you don’t even have to succeed. You just need to get started. Starting before you feel ready is one of the habits of successful people. Most of the time, the ability to get started and commit to a task is the only thing you need to do to focus better. Most people don’t have trouble with focusing. They have trouble with deciding. Have you ever had a task that you absolutely had to get done? What happened? You got it done. Maybe you procrastinated, but once you committed to doing it, you got it finished. In other words: making progress in your health, your work, and your life isn’t about learning how to focus and concentrate better, it’s about learning how to choose and commit to a specific task. You have the ability to focus, you just need to choose what to direct it towards instead of acting like the lion and dividing your attention among the four legs of the chair. We all have the ability to focus and concentrate, but only if we decide what is important to us and what we want to commit to accomplishing. The only wrong choice is no choice. Life isn’t a dress rehearsal. Whether you know it or not, you’re already in the ring. We all are. Most of the time, we sit quietly, gazing at the chair in front of us, silently debating about which leg is the most important. If you have somewhere you want to go, something you want to accomplish, someone you want to become… then make a decision. If you’re clear about where you want to go, the rest of the world will either help you get there or get out of the way. Both of those are useful. You don’t have to do it all at once, but there is something that you need to do now. Something that’s calling you, something that’s important to you, something that you’re destined to do. I don’t know what it is, but you do. Swipe the chair out of the way and choose it. 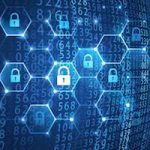 This article was originally published on JamesClear.com. James Clear writes at JamesClear.com, where he shares science‐based ideas for living a better life and building habits that stick. To get strategies for boosting your mental and physical performance by 10x, join his free newsletter. ​It was 1955 and Disneyland had just opened in Anaheim, California when a ten-year-old boy walked in and asked for a job. Labor laws were loose back then and the boy managed to land a position selling guidebooks to visitors for $0.50 a piece. Within a year, he had transitioned to Disney’s magic shop where he learned tricks from the older employees. He experimented with jokes and tried out simple magic routines on the visitors. Soon, he discovered that what he loved was not performing magic, but performing in general. The young boy set his sights on becoming a comedian. Once he entered high school, he started performing in small clubs around Los Angeles. The crowds were small and his act was short. He was rarely on stage for more than five minutes. In one case, he literally delivered his standup routine to an empty club. It wasn’t glamorous work, but there was no doubt he was getting better. His first magic routines would only last one or two minutes. By high school his material had expanded to include a five minute skit and then a ten minute show. At the age of 19, he was performing weekly at clubs for twenty minutes at a time. Of course, he had to read three poems during the act just to make the routine long enough, but still. He was improving. He spent another decade experimenting, adjusting, and practicing his act. He took a job as a television writer and, gradually, he was able to land his own appearances on television shows. By the mid-1970s, he had worked his way into being a regular guest on The Tonight Show and Saturday Night Live. After nearly 15 years of work, he broke through to wild success. He toured 60 cities in 63 days. Then 72 cities in 80 days. Then 85 cities in 90 days. 18,695 people attended one show in Ohio. 45,000 tickets were sold for his 3-day show in New York. He catapulted to the top of his genre and became one of the most important comedians of his time. 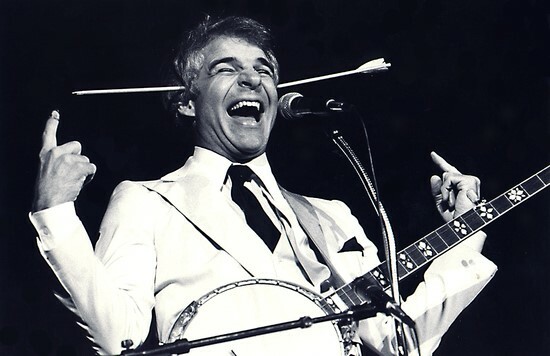 His name was Steve Martin. Comedy is not for the faint of heart. It is hard to imagine a situation that would strike fear into the hearts of more people than failing to get a single laugh on stage. And yet, Steve Martin worked at it for 18 years. In his words, “10 years spent learning, 4 years spent refining, and 4 years spent in wild success.” His story offers a fascinating perspective on motivation, perseverance, and consistency. Why do we stay motivated to reach some goals, but not others? Why do we say we want something, but give up on it after a few days? What is the difference between the areas where we naturally stay motivated and those where we give up? Martin’s comedy career was a perfect example of what The Goldilocks Rule looks like in the real world. Wanting to improve your life is easy. Sticking with it is a different story. If you want to stay motivated for good, then start with a challenge that is just manageable, measure your progress, and repeat the process. Your Abilita consultant, with many years of experience in the industry, has that same motivation and dedication. This helps to ensure they get things right and provides you with the confidence you are looking for when hiring a consultant. The Feynman Technique, developed by Nobel-prize winning physicist Richard Feynman, helps you understand, recall and explain anything using concise thoughts and simple language. Pick something you want to understand and start studying it. Write down everything you know about the topic. Add to that page every time you learn something new. This forces you to make it really simple. 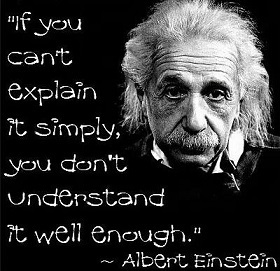 When you write out an idea from start to finish in simple language that a child can understand, you force yourself to understand the concept at a deeper level and simplify relationships and connections between ideas. Organize your notes into a simple story that flows. Use analogies and simple sentences to strengthen your understanding. Practice reading your story out loud. Pretend to tell the story to a classroom of students. Get to the hypothesis in as few words as possible. Avoid clunky, verbose language. For a brief video outlining the Feynman Technique, click here. These concepts can be used anywhere and anytime. Learning is not only about remembering something difficult, but it is about making things easier. By forcing yourself to make something easier, you will remember it better! Most of the tasks that you procrastinate on aren’t actually difficult to do — you have the talent and skills to accomplish them — you just avoid starting them for one reason or another. The 2–Minute Rule overcomes procrastination and laziness by making it so easy to start taking action that you can’t say no. • Part 1 — If it takes less than two minutes, then do it now. Part I comes from David Allen’s bestselling book, Getting Things Done. It’s surprising how many things we put off that we could get done in two minutes or less. For example, washing your dishes immediately after your meal, tossing the laundry in the washing machine, taking out the garbage, cleaning up clutter, sending that email, and so on. If a task takes less than two minutes to complete, then follow the rule and do it right now. • Part 2 — When you start a new habit, it should take less than two minutes to do. Can all of your goals be accomplished in less than two minutes? Obviously not. But, every goal can be started in 2 minutes or less. And that’s the purpose behind this little rule. The most important part of any new habit is getting started — not just the first time, but each time. It’s not about performance, it’s about consistently taking action. The 2–Minute Rule isn’t about the results you achieve, but rather about the process of actually doing the work. I can’t guarantee whether or not the 2–Minute Rule will work for you. But, I can guarantee that it will never work if you never try it. Anyone can spare the next 120 seconds. Use this time to get one thing done. Go. 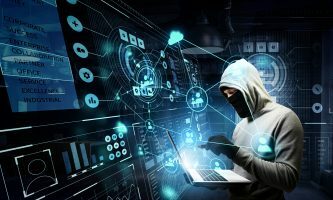 This article was originally published on JamesClear.com. James Clear writes at JamesClear.com, where he shares science-based ideas for living a better life and building habits that stick. To get strategies for boosting your mental and physical performance by 10x, join his free newsletter. In recent years, the study of hard work has developed into a scientific pursuit named “deliberate practice”- focused and effortful training as the recipe for success. 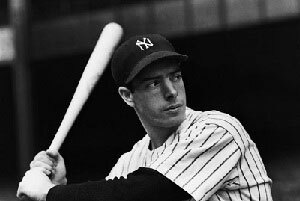 To demonstrate an example of deliberate practice, here is a little-known story about how Joe DiMaggio acquired his exceptional ability to become one of the greatest hitters in baseball history. We love stories like this—stories that highlight how remarkable success is the product of effort and perseverance. To maximize our potential, we need to know when deliberate practice makes the difference between success and failure and when it doesn’t. The myth of deliberate practice is that you can fashion yourself into anything with enough work and effort. While human beings possess a remarkable ability to develop their skills, your genes set a boundary around what is possible. Experts have discovered that our genes impact nearly every human trait including short-term memory to mental processing speed to willingness to practice. Some researchers have estimated that our genes account for 25-35 percent of differences in performance. While genetics influence performance, they do not determine performance. Do not confuse destiny with opportunity. Genes provide opportunity. They do not determine our destiny. It’s similar to a game of cards. You have a better opportunity if you are dealt a better hand, but you also need to play the hand well to win. Similarly, we should seek to fight battles where the genetic odds are in our favor. If you aspire to maximize your success, then you should train hard and practice deliberately in areas where the genetic odds are in your favor (or where you can overlap your skills in a compelling way). Stress is a natural part of our daily lives. It can be triggered by pressure to meet deadlines, too many time demands, illness, or other serious life changes. 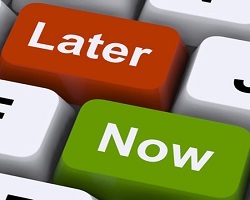 Set priorities: Decide what must get done and what can wait. Learn to say no to new tasks if you are overwhelmed. Plan ahead to avoid last-minute shopping or other stressful situations. Learn when to say no: Friends and colleagues will understand if you can’t participate in every project or activity. Stick to a budget: before you go shopping, decide how much money you can afford to spend. Then stick to your budget. Don’t try to buy happiness with an avalanche of gifts. Stay in touch with people who can provide emotional and other support. Ask for help from friends, family, and community or religious organizations to reduce stress due to work responsibilities or family issues, such as caring for a loved one. Volunteering your time to help others is a great way to lift your spirits and broaden friendships. Take a breather: make time to do relaxing activities you enjoy, such as outdoor activities, listening to music, watching a movie or reading a good book. Avoid dwelling on problems: focus on what you have accomplished, not what you have been unable to do. Don’t abandon your healthy habits: get plenty of sleep and exercise regularly. Just 30 minutes per day of moderate walking can help boost mood and reduce stress. 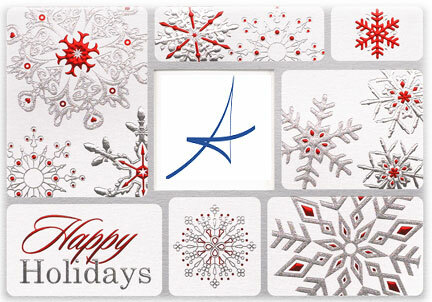 Wishing you a Happy Holiday Season and a Prosperous 2017. The Domino Effect states that when you make a change to one behavior it will activate a chain reaction and cause a shift in related behaviors as well. Many of the habits and routines that make up our daily lives are related to one another. There is an astounding interconnectedness between the systems of life and human behavior is no exception. The inherent relatedness of things is a core reason why choices in one area of life can lead to surprising results in other areas, regardless of the plans you make. 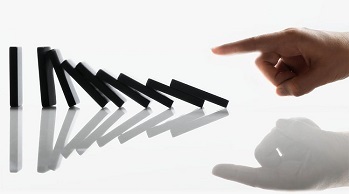 The Domino Effect capitalizes on one of the core principles of human behavior: commitment and consistency. This phenomenon is explained in the classic book on human behavior, Influence by Robert Cialdini. The core idea is that if people commit to an idea or goal, even in a very small way, they are more likely to honor that commitment because they now see that idea or goal as being aligned with their self-image. The Domino Effect not only creates a cascade of new behaviors, but often a shift in personal beliefs as well. As each tiny domino falls, you start believing new things about yourself and building identity-based habits. The Domino Effect is not merely a phenomenon that happens to you, but something you can create. It is within your power to spark a chain reaction of good habits by building new behaviors that naturally lead to the next successful action. 1. Start with the thing you are most motivated to do. Start with a small behavior and do it consistently. This will not only feel satisfying, but also open your eyes to the type of person you can become. It does not matter which domino falls first, as long as one falls. 2. Maintain momentum and immediately move to the next task you are motivated to finish. Let the momentum of finishing one task carry you directly into the next behavior. With each repetition, you will become more committed to your new self-image. 3. When in doubt, break things down into smaller chunks. As you try new habits, focus on keeping them small and manageable. The Domino Effect is about progress, not results. Simply maintain the momentum. Let the process repeat as one domino automatically knocks down the next. When one habit fails to lead to the next behavior, it is often because the behavior does not adhere to these three rules. There are many different paths to getting dominoes to fall. Focus on the behavior you are excited about and let it cascade throughout your life.